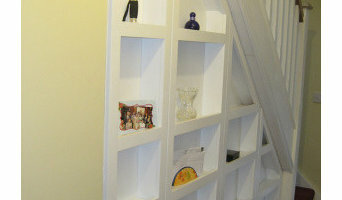 Supplier of under stairs & loft storage solutions to the Uk & Irish market. Stira Folding Attic Stairs Ltd.
Stira manufacture a range of loft ladder sizes and can custom build on request. 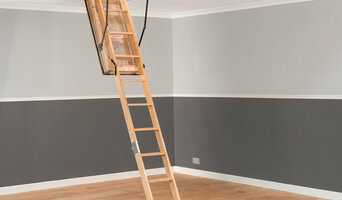 We also install our loft ladders, with over 140,000 fitted in 35 years we know that every attic is unique, we can work with your situation to provide a Stira that works. Top professional organiser ready to make your life much easier and more beautiful. Surround yourself with clear space and your beautiful and treasured items. Organise your wardrobe so that each piece is easily accessible and looked after. Optimise storage in your kitchen and bathrooms so you can see everything clearly. Let go of clutter that is blocking up your home and your life. Have your travel plans researched and booked for you. I help people declutter their home or office. We are a decluttering and professional organising service. Helping people within their home environment that are feeling overwhelmed with "stuff", or just don't know where to Start! Or perhaps it could be that you are just too busy too start. We can offer a helping hand with Top to Bottom full clear outs, individual rooms, organise wardrobes. 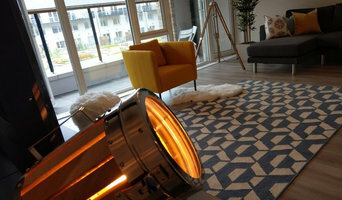 Selling or Renting a house we also offer a home staging package. What do professional organisers and storage designers do? A professional organiser can declutter your home and help you organise your possessions and furniture in a way that fits with your design vision. A home storage designer, on the other hand, can be hired to design custom wardrobes, shelves or other storage solutions to give you the exact storage space you need in your home. Some professional organisers will be able to coach you in how to declutter your life, as well as your home, so that you will learn how not to clutter or hoard anything in future. This is a great idea if your home is in need of a complete overhaul and you think that you have a problem with clutter and letting go of old possessions. Or, perhaps you have one particular room that has become overcrowded with clutter, such as the spare room, office or utility room, and needs some serious decluttering attention from a professional. Moving house is always a stressful time and can be made worse by having to deal with all the clutter, jumble and bits and bobs, so it could be worth hiring a professional organiser to help you with your move and make sure your new home looks neat and tidy in no time. You can search for professional organisers with Houzz, see their previous projects and read reviews online before you contact them about your project. If you’re thinking of hiring a storage designer or professional organiser when moving into a new home, you may want them to discuss your design ideas with any other professionals working on your house project to make sure your storage solutions work with the rest of your design. Here are some related professionals and vendors to complement the work of home storage designers & professional organisers: Interior Designers, Furniture & Home Accessories, Design & Build. Find a professional professional organiser or storage designer on Houzz. 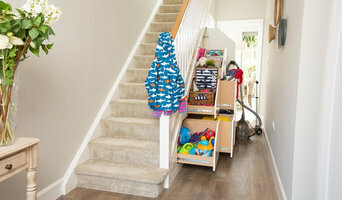 Narrow your search in the Professionals section on Houzz to storage designers and organisers or look through storage and wardrobe photos and contact the professionals that worked on them.